With the addition of the new Diamond Club Elite level, Party Poker’s VIP program now suits every type of player from micro-stakes grinder to high roller. 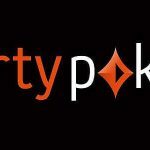 Party Poker has announced it is adding another level to its VIP Program – Diamond Club Elite. This new level is for the highest of high rollers who contribute a minimum of $200,000 in rake over twelve months. 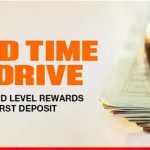 In return for their loyalty, Party Poker will give them 60% cashback, $10,000 in cash when they reach 50% of the target, and a further $20,000 in cash when they have contributed $200,000. In addition, players who reach the target by November will receive a free entry into this year´s MILLIONS Online tournament and a $16,000 VIP package to the MILLIONS World event in the Bahamas. Plus there is an extra incentive for the first two players who contribute $200,000 in rake exclusively via cash games or Sit & Go Jackpot games – 100% cashback on everything they pay in rake until January 2020. The Diamond Club Elite level is a step up from the existing Diamond Club level that rewards players who contribute more than $100,000 per year in rake with 50% cashback. This level of Party Poker´s VIP program was launched in June 2017 and gives players access to a personalized concierge service and a dedicated 24/7 support line as well as invites to exclusive private events. The opportunity for our players to earn 60% cashback along with a fabulous MILLIONS World package and a seat at MILLIONS Online makes us the clear number one choice for VIP players in the online poker industry. 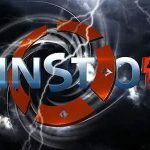 What about the Rest of Party Poker´s VIP Program? For players with more modest bankrolls, Party Poker offers a tiered rate of cashback according to how many Cashback Points are earned within a week (a week runs from 00:00 CET on Mondays to 23:59 on Sundays). One Cashback Point is awarded for every $1.00 contributed in rake at Party Poker´s cash game tables or paid to enter a Sit & Go game or Multi-Table Tournament. In order to qualify for a cashback payment, opted-in players have to earn a minimum of 25 Cashback Points a week. Thereafter, players are awarded cashback at rates of between 20% and 40% at increments within the percentage band. 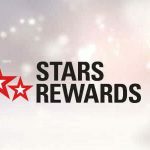 So, for example, a player earning 25 Cashback Points will qualify for 20% cashback ($5.00), and then further 20% cashback payments when they have earned 50, 75, and 100 points. The higher 25% cashback rate kicks in when they have earned 150 Cashback Points. From time to time, Party Poker gives players the opportunity to earn double Cashback Points in up to three-times-daily Happy Hours. Usually the Happy Hour promotion appears close to big tournament series (there was one last week ahead of next week´s KO Tournament Series) and it is worth following Party Poker´s social media channels to find out in advance when the next promotion is due. One important point to note for players still clearing the Party Poker bonus, is that you may not be eligible for double Cashback Points while your bonus is still active. Therefore, it is important you read the terms and conditions of any promotion related to Party Poker´s VIP Rewards Program and, if you are still in doubt, speak with the site´s excellent customer service team.